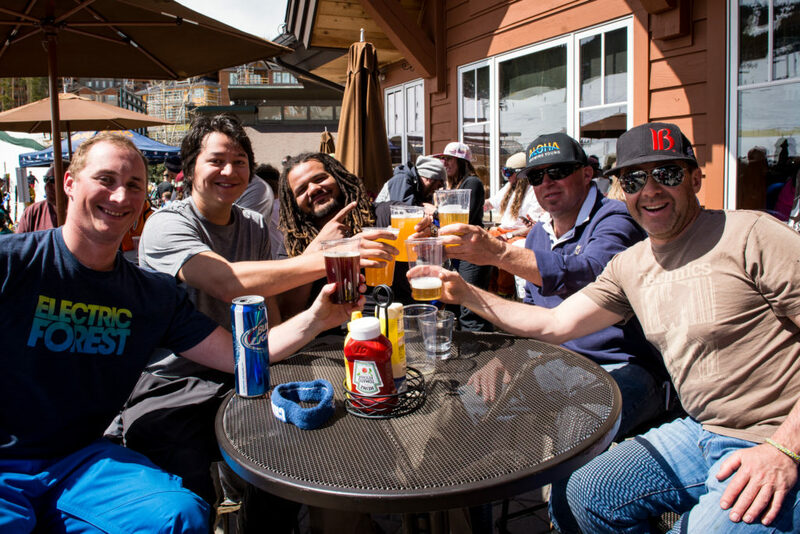 If you are on the mountain looking for a break between laps or a watering hole right off slopes for après, there a few great places right on the resort. One of my favorite places to stop for a sunny break between laps is Seven’s right at the base of Peak 7. They have quick and yummy food options plus a full bar with a great staff. 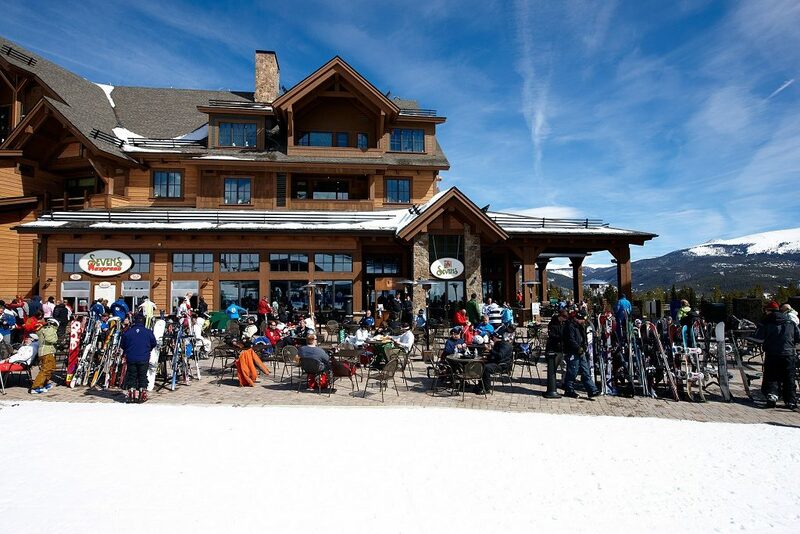 Enjoy your snack while slouched back in a comfy Adirondack chair and watch skiers ski right down to the Independence lift. 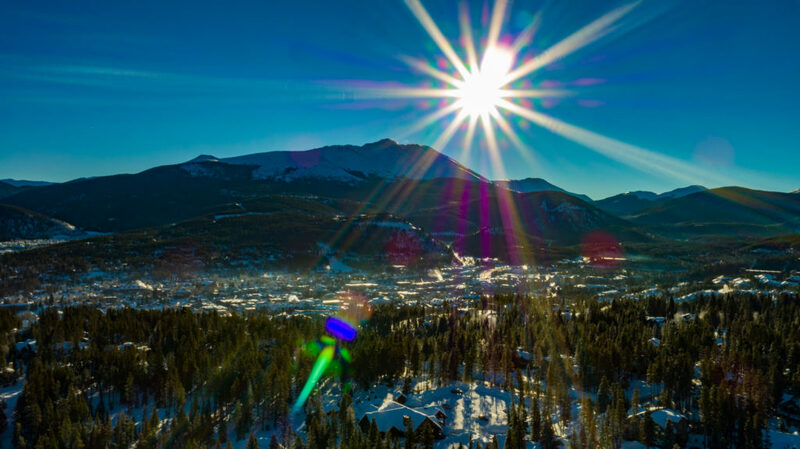 If you’re on Peak 9, The Overlook at 11,274 feet is Breck’s highest elevation dining experience, offering some of the most picturesque views from a fabulous deck. Note, they have an amazing and super fresh udon noodle and pho bowl. 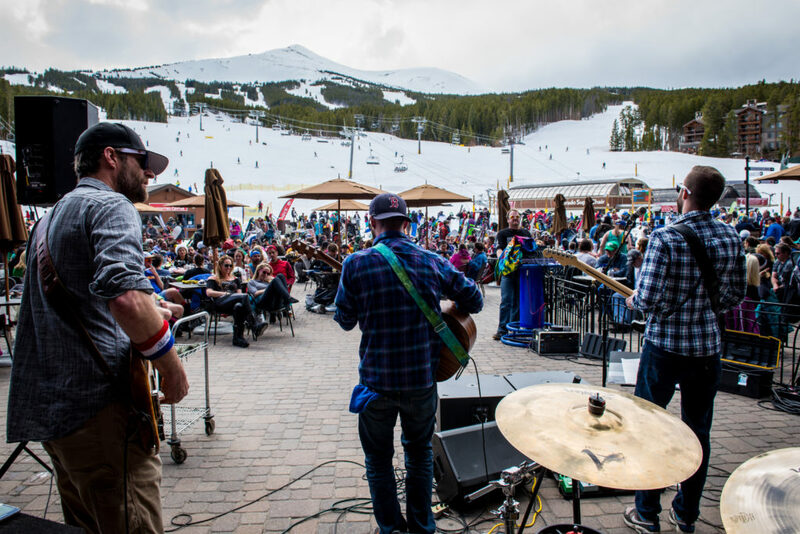 On Peak 8, the T-BAR is always a hotspot to meet friends soak in the sun and listen to live music in the spring. If you’re skiing with a big group, these are great spots to stop so those in your group that want to keep going can ski and efficiently meet back up! 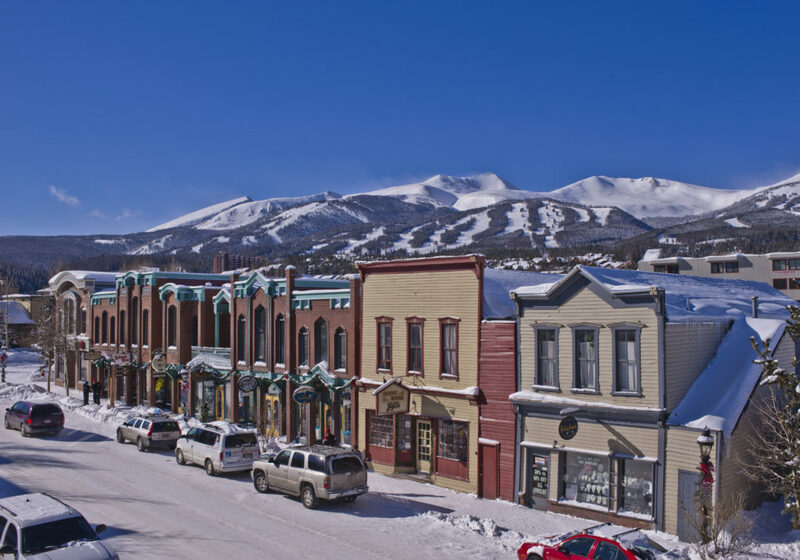 Town has quite a few restaurants and bars with great outdoor spaces where you can gaze up at all the ski runs as the sun slowly sets behind the peaks. My favorite place to head to before the sun goes down is Napper Tandy’s. Munch on some great bar food, and from their rooftop deck you can see the full Ten Mile Range. The best part is as the sun sets and it gets a bit chilly out you can stay warm by cozying up by the fire-pit on the roof as you gaze up at the majestic alpenglow. 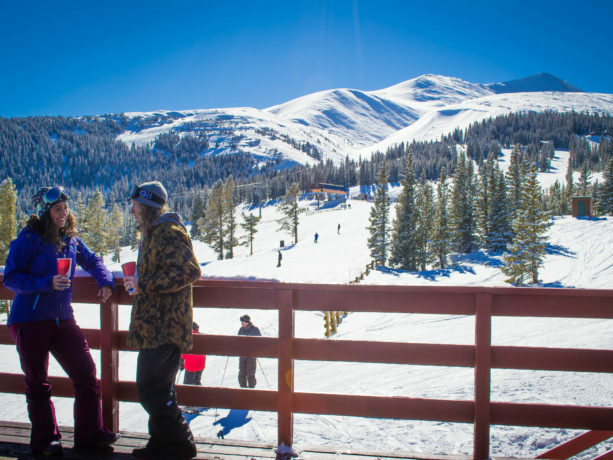 For great burgers, BBQ, steaks, and over 20 Colorado craft beers on draft, Kenosha Steakhouse has a great west facing deck where you can soak in the sun till it falls behind the peaks. The Canteen Tap House and Tavern has a deck right on Main Street for great people watching. I recommend ordering a Moscow Mule, which comes in their signature canteen cup. For fancier fare, head to Relish for happy hour to enjoy their scrumptious drinks and changing seasonal menu. Their beautiful deck is right on the Blue River Plaza. Coming soon: Also, look out for the opening of Southridge Seafood’s rooftop deck. They have a huge rooftop space that gets ton of sun!